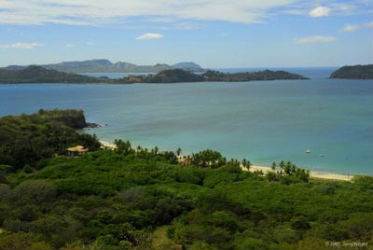 This 13.25 acre (52,857 m2) parcel is considered by most real estate and land development professionals to be the most desirable ocean view property available for development on the Pacific Coast in Costa Rica. Overlooking Penca Beach from a bluff only 200 meters from the water, the tiered character of the parcel allows for premium views of Penca, Potrero, Conchal and Prieta beaches, as well as the Flamingo Beach Marina, Catalina islands and unparalleled sunsets. The land is titled and has power and water to the property line. Preliminary roads permit a viewing of the entire property.